RepSol’s project to offset the hundreds of millions of dollars of crude oil being pumped out of Block 16 was to build a “zoo-creidero” or animal hatchery. Since big oil moved in bushmeant had become increasingly scarce in the Waorani tribe’s formerly bountiful hunting grounds but once the zoo-creidero was completed those same wild animals getting projected against the wall could be bred for food in captivity. On the 5th of March 2013, less than three months after these photos were taken, Ompore Omeway was murdered. His body and that of his wife Buganey were found impaled with spears inside RepSol’s Block 16 and the prime suspects were an uncontacted Amazonian tribe inside the Yasuní National Park called the Taromenane. Before the month of March ended an estimated 30 men, women and children of the Taromenane tribe were massacred in a battle that pitched wooden spears against modern weaponry. Two Taromenane girls, aged 3 and 6, were kidnapped by those that killed their tribe while members of the Ecuadorian government spent seven months downplaying the massacre. Some even casted doubt on whether the Taromenane still exist. This uncontacted tribe that is now fighting for survival against genocide live on lands that hold an estimated 846 million barrels of crude oil. 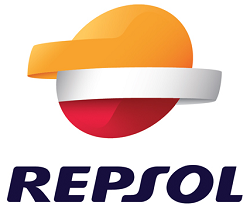 RepSol is without a doubt the most responsible oil company in the history of Ecuador’s dirty oil industry. The Spanish company has invested in education and schools in Yarentaro unlike their predecessors (Dallas based oil company Maxus) who were responsible for 29,355 hectares deforestation of primary rainforest and forbid Waorani from forming coalitions with indigenous groups outside of Block 16. The last stop in western civilization before Block 16 is the illegal meat market of Pompeya where spider monkeys and tapirs, macaws and peccaries are sold wholesale for those with a taste for endangered flesh or trafficked onto the international black market. Yarentaro is half an hour by boat or one and a half by car from Pompeya on the via Maxus – a formerly unpoliced “oil highway” built by Maxus – which gave commercial loggers and hunters access to the impenetrable depths of the Yasuni National Park where they stripped it like a plague of locusts. Today getting to Yarentaro in Block 16 is illegal without a laminated photo ID issued by RepSol. The 40km speed limit to prevent noise pollution is strictly enforced with controls where guards pen down the time it took your vehicle to reach: the first speeding fine is $800, the second time its $3,000, the third you are banned from Block 16. Younger generations of Waorani can enter and exit Block 16 freely without RepSol ID cards but carry Ecuadorian cedular’s just in case. For Waorani like Ompore, who were born “Before Contact” and have never worn western clothes with their accompanying deep pockets, carrying identification is a little trickier. But the guards, engineers, scientists, and contract workers in RepSol’s Block 16 all knew of Chief Ompore. 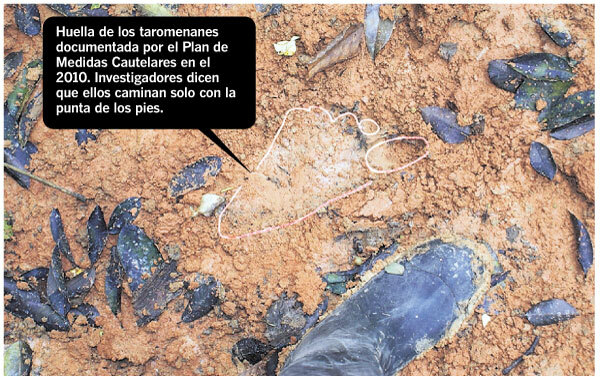 As the Ecuadorian police seemingly stonewalled the investigation into the Taromenane massacre an unlikely team comprising of a Spanish anthropologist monk Miguel Ángel Cabodevilla and the veteran Ecuadorian journalist Milagros Aguirre began asking questions. 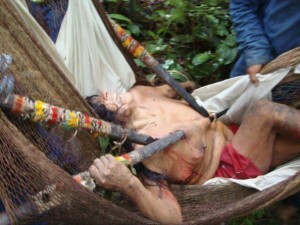 Why did the Taromenane attack almost a year to the day after the Chief claimed in the video above he had made peaceful contact with this uncontacted tribe? They documented their findings in a book called A Hidden Tragedy which was prohibited from circulation in Ecuador “over any medium” at 5:43pm on September 24th, a full seventeen minutes before its presentation to the public. The coverup backfired as the book’s digital PDF appeared on blogs, torrents, twitter, dropbox and facebook as Ecuadorians circumvented censorship and turned it viral – the ensuing scandal forced the book ban to be overturned. In the book Cabodevilla and Aguirre piece together Ompore’s last day alive for clues: On the 5th of March he left his jungle hut with his wife Buganey before dawn wearing nothing but gumboots and a machete, carrying gifts of bushmeat for his family in Yarentaro. Today the way younger generations of Waorani blasted their radios in Yarentaro annoyed the late Chief enough to build his home with Buganey away from the high-tech comforts of Contact three hours walk into the jungle. As he arrived on the village outskirts before 8am it was those same radios booming over the top of the drills, saws and hammers constructing the zoo-creidero that prevented the master hunter from hearing the ambush. She died an hour later. The body of Ompore was found near the river where he ran to escape the ambush. He’d been fatally wounded and fell into the leaflitter before propping himself up in a half-sitting position and died, impaled with nine spears more than three meters long and covered with colorful feathers. There was no speed limit on the via Maxus the afternoon of Ompore’s murder as RepSol began withdrawing its personel from Block 16 in seeming anticipation of the tribal war to follow.The next day the Bishop of Coca, Jesús Sábado, arrived in Yarentaro with two members of the FAL Foundation. One of the members filmed the Waorani community using a computer connected to the projector to show the Bishop and everyone else gathered a grainy cellphone video of Buganey, the Waorani elder born Before Contact, her dying breaths cast across the Town Hall wall for all to see.